Sometimes, is easy to forget that technology isn’t just a distraction. Used wisely, technology can improve people’s’ lives, especially in the area of mental health. While one could argue that many new technologies likely have a negative impact on our mental and physical well-being, technology has been used for decades to help diagnose and treat psychological disorders. In 1905, psychological professionals used the Psychograph phrenology machine to analyze, based on the belief that the shape of the skull could determine personality traits, the shape of a patient’s skull and provide a printout detailing personality characteristics. Today, software developers, mental health professionals and mobile technologists are attempting to put a portable therapist in everyone’s pocket with the creation of mobile mental health apps. If you type the phrase ‘mental health’ into the Google Play or Apple app store search, hundreds of apps will pop up in the results. From diagnosing depression, tracking moods and helping people to think more positively, there are seemingly endless apps aimed at people struggling with anxiety, schizophrenia, post-traumatic stress disorder (PTSD), eating disorders and addiction. According to the World Health Organization (WHO), an estimated 29 percent of people will experience a mental health disorder in their lifetime. Nearly half of those people in developed countries and nearly 90 percent in developing countries aren’t getting the treatment they truly need. While some question whether or not we can trust apps that claim to help with mental health, this emerging industry may meet an important and growing need for Americans suffering from mental health challenges. Smartphones and mobile apps could help fill the gap and serve as a digital lifeline, specifically for those with who live in rural or low income regions, according to Nature.com article. With the almost ubiquitous use of smartphones, there’s an opportunity for clinicians and researchers to incorporate mobile apps into mental health treatment. 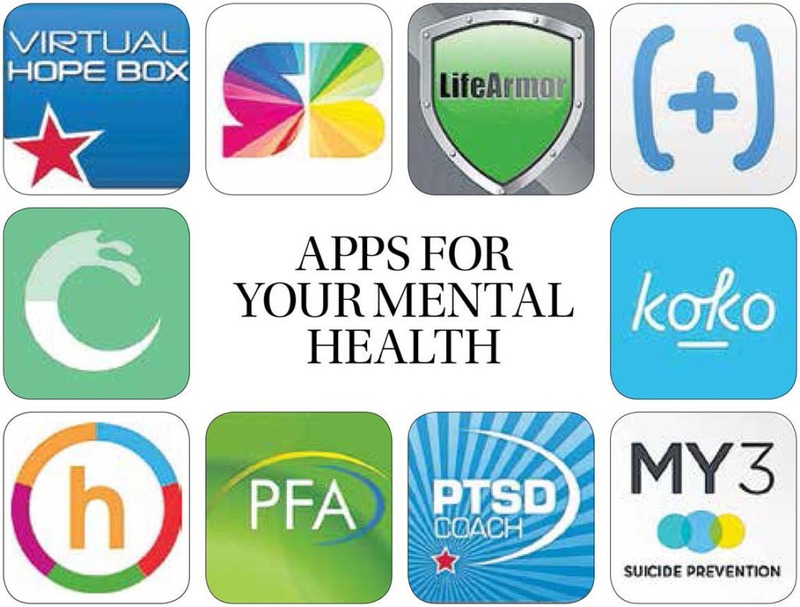 Numerous mental health apps are currently available for download, however, there is a limited amount of research to support the purported benefits of most apps. Moreover, many apps are ‘self-report style apps that don’t necessarily provide or facilitate treatment. Is your Startup in need of top Healthcare talent? Convenience: A major draw is convenience. With a smartphone at your fingertips, treatment can take place anytime and anywhere, whether it be at home in the middle of the night or in the car on the way to work. Mobile mental health apps may be “ideal for those who have trouble with in-person appointments,” the article said. Anonymity: With mobile health apps, patients can seek treatment options discretely without involving other people. Mental health is a sensitive issue for a lot of people, having a way to seek help discretely could potentially help more people get the help they need without having to attract unnecessary attention to themselves. 24-hour-service: Mobile health apps can provide monitoring and intervention support around-the-clock, which helps patients who may require care when no one else is around. Cost-Effectiveness: Many apps are free, reducing the cost of traditional care. A soft-introduction to care: As I mentioned earlier, many people are weary of seeking help for mental health disorders. Mobile health apps can help providers offer treatment to those who have avoided mental health care in the past. Increased Accessibility: With technology, mental health treatment can be provided where accessibility has traditionally been limited, such as in rural areas. One of the biggest concerns is effectiveness. Mobile mental health apps will need to obtain solid scientific evidence that they actually work and work as well, if not better, than traditional methods of care. Another concern is better understanding whether or not apps work for all people and for all mental health conditions. Perhaps, there are some mental health conditions that can be treated more effectively than others. A third concern is guidance and regulation. Currently, there are not industry-wide standards to advise consumers on which apps have been proven effective. With any mobile technology, privacy is a major concern. Mental health apps inevitably necessitate the involvement of sensitive and private patient information. Technology firms will need to develop effective security measures to protect their users from identity theft. Mobile mental health is an industry in its infancy. According to the NIMH, “there are no review board, checklists or widely accepted rules for choosing a mental help app.” Additionally, “most apps do not have peer-reviewed research to support their claims, and it is unlikely that every mental health app will go through a randomized, controlled research trial to test effectiveness.” Because medical research, treatments and practices should have an extensive base of peer-reviewed research to support their legitimacy, this presents a potentially major challenge for the widespread acceptance of mental health apps. Testing processes, controlled research trials and national standards will need to be created and carried out to test effectiveness.